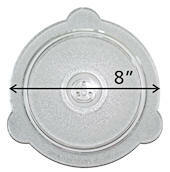 Order your Cuchina Safe Vented Glass Lids™ , Cover 'N Cook Microwave Plate Cover™ and the Microwave Oven Mini Mitts Now! Red, Black or Tuquoise Choose color on order page. please send a check or money order for the amount of your order based on the information above. Mail orders may take up to two weeks to ship while the check clears.